Our engineers have designed a hand crafted prefabricated proprietary plumbing kit that provides easy installation without any gluing required. Disassemble easily without any cutting of plumbing required. Controls the flow through the drain system and maintains quiet operation. Can be easily adjusted to accommodate your choice of return pump. To prevent overflowing, a secondary safety drain is available. Our Manifold system comes with 2 Valves to dial in your reactors or other components. It also includes 2 barb fittings in 1/4″ and 1/2″ to adapt to different size tubing. Ideal for installing media reactors, calcium reactors, biopellete reactors, zeolite reactors, chillers, UV sterilizers, etc. The check valve is designed to eliminate back siphoning in case of a power failure. Our Reef Pro systems shine above the rest with our thoughtfully designed, sized and placed ATO(Auto Top Off) Reserviors. Pair with the XP Aqua ATO System for a perfectly balanced evaporation solution. Dual micron socks reduce noise, prevents clogging, and reduces chances of overflowing. The Waterbox Reef Pro systems each include 2 x 4 Inch filter socks to keep water clarity pristine. 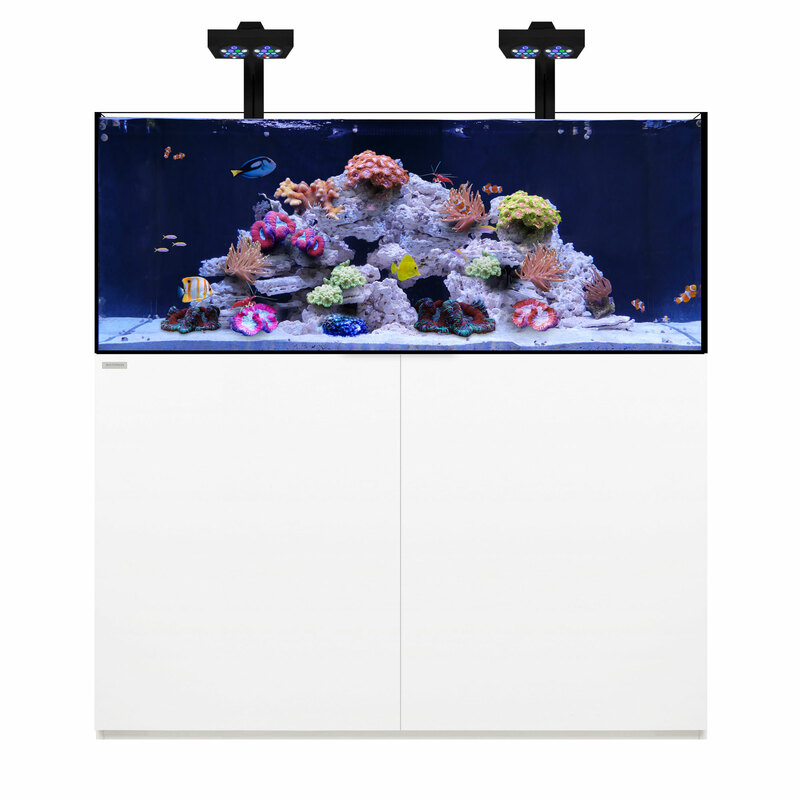 Our advanced sump systems on the Reef Pro include pre-cut filter spongers to keep particulate down to a minimum. Our advanced sump systems on the Reef Pro Range aquariums include pre-cut filter spongers to keep particulate down to a minimum. Our 6′ Aquariums include an independent ATO chamber that stores 18.7 gallons of evaporation water. Include an XP Aqua system to manage evaporation water like a pro.